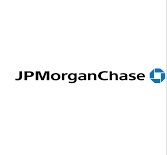 About Us:- JPMorgan Chase & Co. (NYSE: JPM) is a leading global financial services firm with assets of $2 trillion and operations in more than 60 countries. The firm is a leader in investment banking, financial services for consumers, small business and commercial banking, financial transaction processing, asset management and private equity. Pitching material preparation: Work with associates and analysts across regional locations to prepare marketing materials for clients including components like market and industry landscapes, financial analysis & valuations, target companies profiles & benchmarking etc.